Qabala, the former capital city of Caucasian Albania, was once the commercial center of the region, and is now becoming the new holiday destination in the Caucasus thanks to recent investments in tourism. With its mountains and ski resorts, its evergreen nature, and its historical sites, the town offers an adventurous vacation for travelers, and it also has 5 star hotels. What can be more relaxing than resting in the comfort of a spacious room after an exhausting day of adventure? *We do not have Gabala flights for a while. If you want you can use flights to Tblisi then transfer to Gabala by land. Gabala is located in the Gabala Rayon in Azerbaijan, 225 kilometers from Baku. You can easily get there by booking a Gabala Istanbul Pegasus Airlines flight ticket and the flight takes less than an hour. The city has a good public transportation system, which makes travelling within the city very easy. The journey from the airport, named after the city itself, to the city center takes about 20 minutes. The construction of the airport was completed in 2011 and it is designed to provide for all of a passengers needs. When your Gabala plane lands you can use the public transport or make a deal with a taxi to get to the city center. The food culture in Gabala is nearly the same as that in Azerbaijani cuisine. Fresh fruit and vegetables are available all year round; therefore, the food is prepared with fresh, natural ingredients. Gabala cuisine doesn’t have olive oil based dishes however, as the cuisine is mostly dominated by meat and vegetable dishes. If you would like to have a meal accompanied by the beautiful view of sycamore trees and the refreshing passing nearby creek, you should plan a stop at Xanlar Restaurant. Prices may seem a bit high but when you are savoring your steak cooked between hot stones, you’ll realize that it’s well worth the amount paid. The famous Azerbaijani chain Nakhchivan has a restaurant in Gabala. Here you can taste the most delicious pastries of Azerbaijani cuisine, as well as fresh juices pressed from the fresh fruits of the Caucasus. Since Gabala is a natural paradise, shopping facilities are mostly located inside the hotels or tourism centers. The inhabitants mostly live in nearby villages and work in agriculture. This provides travelers with additional opportunities for shopping; they can go to the villages and shop for handmade products in souvenir shops whilst enjoying the beauty of nature. In addition, hunting is also a common activity in the region, so you might want to get an animal skin as a present for your loved ones. You can find nearly everything you need in this shopping center located in the center of Gabala District. Boutique hotels in Gabala city center are the most common option for accommodation, however it is certainly not your only option. The most famous Azerbaijani hotels are located in the surrounding areas. Travelers who prefer a luxury holiday may prefer this choice. As an alternative to Gabala hotels, it is also possible to stay at a tourist campsite where you will have the opportunity to take part in activities in nature. Qafqaz Karvansaray Hotel is located near the city center and is one of the best hotels in the region with its delicious food, relaxing spa, and hygienic pool. It is an ideal location for a peaceful holiday for you and your family. In addition, the staff is very friendly and polite. Think of waking up to a marvellous mountain view, breathing in the fresh air while waiting for your breakfast in bed. If you’d like to make this dream come true and become a reality, Qafqaz Sports Resort Hotel is ready for you with its 24 hour available friendly staff, outdoor and indoor pools, sauna and gym. Is what you are looking for a good time with your family and friends in your own private villa in the middle of nature? Then Qafqaz Riverside Resort Hotel is the right choice for you. There is a cable car that takes you up to Gabala Mountains from inside the hotel. You can also enjoy barbecuing in the garden. Qafqaz Tufandag Mountain Resort Hotel is for you if your dream is relaxing in your comfortable and spacious room after skiing. You can rent good quality ski equipment here and enjoy skiing safely in the company of experienced instructors. Qafqas Yeddi Gozel Hotel offers you a relaxing holiday close to the woods and mountains, far away from the rest of the world, but still connected by wi-fi. You can enjoy swimming in the outdoor pool and taking in the fresh weather. There are also very special tables set up for those who enjoy playing table tennis. In the category of places to see in Gabala, nature attractions take first place. The region has a wide range of habitat diversity and if you are lucky, you can spot Grizzly bears, Caucasian goats, wolves and deers in their natural environment. Furthermore, Gabala is surrounded by touristic sites and archeologists are still working on the remains found in an archeological site near the city center. You can go sightseeing in Gabala, be entertained in the amusement park, or witness the biggest waterfall and the biggest lake in the region. Visitors at the Tufandag Winter Tourism Holiday Complex can take a cable car over the mountains and forests, which makes one feel like they can touch the clouds. After the ride, which has fascinating views, you can enjoy hot drinks in the bars and eat delicious food in the restaurants. You can also go shopping in the complex. For a different kind of experience, you can visit the Gabala Shooting Club. Not only can you try a variety of weapons in the shooting ranges in the company of instructors and feel like an action movie star, but the club is also situated on an extensive area where transportation is provided with golf carts. 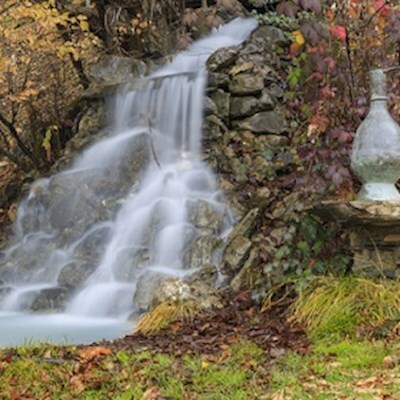 The hidden paradise of Gabala is located away from the gazes and the roads. You can walk there starting from Qafqaz Yeddi Gozel Hotel or use a 4 wheel drive car because the roads are quite steep. With its fun game areas Gabaland is the biggest amusement park in Gabala. In Gabaland, you can also find souvenir shops, sports arenas, ice skating rinks and cinemas. For a fun time with your family followed by a walk in paths decorated with statues and stunning nature, Gabaland offers a magical holiday experience. The remains of ancient Gabala city continue to be dug up by archeologists. What was once the former capital of Caucasian Albania is now open for visitors. Located 5 km from the main road to Gabala, taking a taxi is the most convenient option. There are also minibuses. Gabala is a cosy small town with 90,000 inhabitants. Nightlife can only be found in hotel bars and there are a few small places in the center. People generally go to the capital Baku to experience the nightlife.